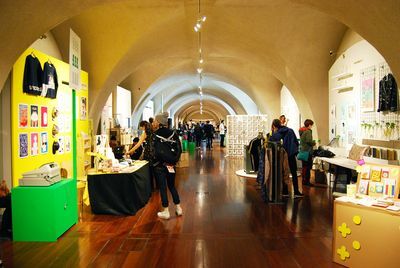 This week, W+K designer Michael Bow popped down to Pick Me Up at Somerset House. 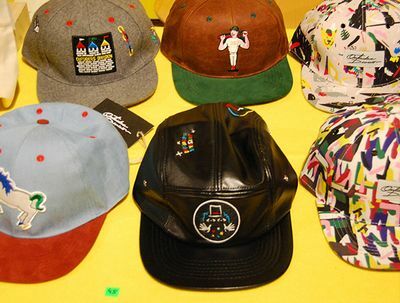 He reported back with his thoughts on the event and the visual trends emerging from the industry in 2015. 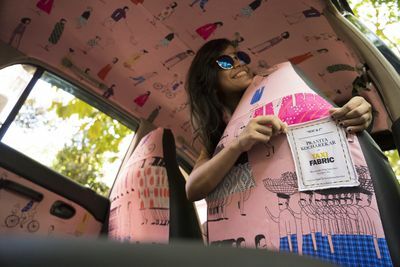 Now in its sixth year, Pick Me Up, billed as a “Graphics Arts Festival” houses a range of work from new and established illustrators, designers, illustrative designers, and everything in between. It’s a pretty good way to gauge what’s trendy in the market that year. 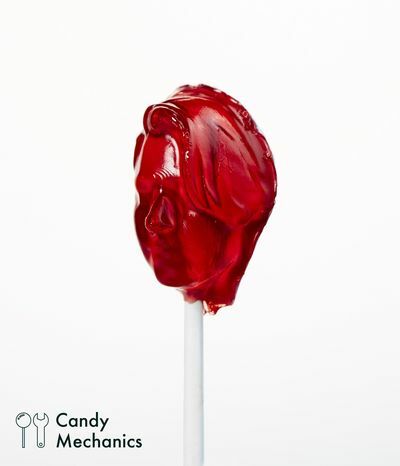 Working at any agency like W+K, it’s important to keep an ear to the ground and know what’s going on; sometimes emerging styles influence our practice, and sometimes we actively go against what’s expected in current visual communications. Despite the fact that the event is meant to support and showcase up-and-coming creatives, there has been a lot of criticism aimed at Pick Me Up over the past few years. The entry fee still seems hefty considering that you are bombarded with price tags and pay points (and a pop-up café?) from the minute you walk in, but the work is now increasingly presented in a more refined and digestible manner. 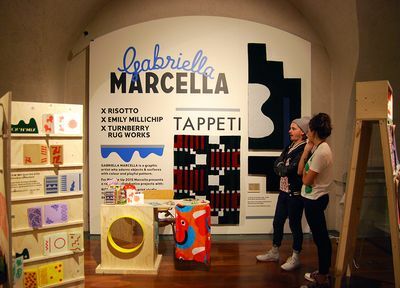 Previous years had resembled some sort of doodle-filled TK Maxx, but this year, the show has a nice pace to it, and each individual station is distinctive and well constructed. I would also highly recommend arriving early if possible, to avoid throngs of disapproving designers. The show this year has a heavy focus on print specialists. 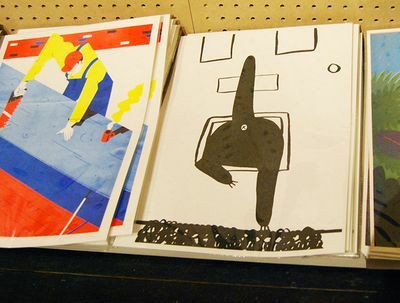 Peckham Print Studio, Sope Studio, and Hato Press are all operating live printing stations for people to not only learn about, but create and buy their own specialist prints on site. We caught up with graphic artist, and my fellow Glasgow School of Art graduate, Gabriella Marcella, who was amongst other things showcasing her Glasgow-based riso print studio Risotto. Alongside the talent showcase, Pick Me Up is now also home to an impressive programme of events in a new presentation area billed as Pick Me Up Platform, all available with free entry. So if there is someone you are particularly interested in, you may be able to see them speak in the flesh too. The impressive headline slot on Thursday is occupied by The Designers Republic’s Ian Anderson, Secret 7”‘s Kevin King, and some DJ sets(?!). Rightly or wrongly, it feels as though there is less focus on concept and communication when designers and illustrators are left to play. 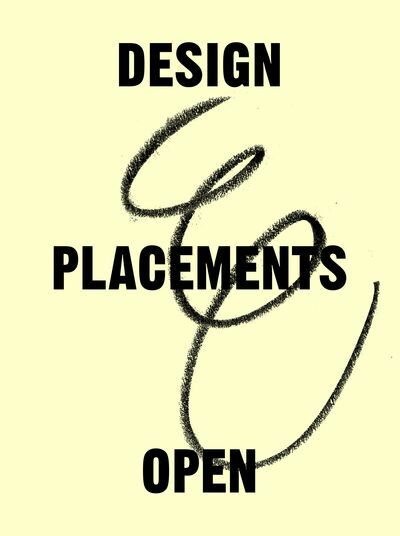 Coming from a position and industry where design and Illustration is very much a commercial venture, and should be used as a tool for clear communication, I feel that a lot of the efforts in the work supported at the event are sometimes a little misplaced, along with the emerging area between graphic design and art. 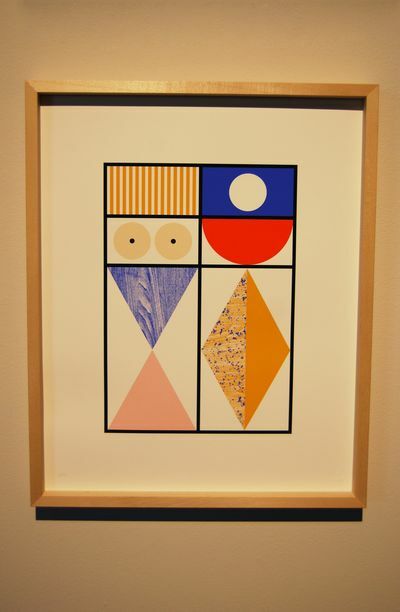 However, this is a celebration of personal creative freedom, and I was personally drawn to the pieces which display a consistent, interesting and fun use of style. 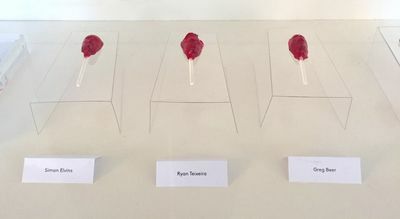 The show’s highlight, aptly titled ‘Pick Me Up Selects’, showcases 12 emerging artists selected by a panel of industry experts. 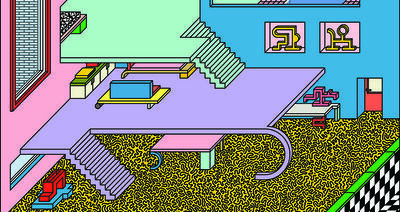 I particularly loved the fantasy comic book/8-bit world seen in Peter Judson’s display. Other highpoints are Jack Cunningham’s Jurassic models, Gaurab Thakali’s jazzy prints and Hattie Newman’s amazing paper-cut micro-sets. There are lots of amusing things to glance at and flick through as you wander through the different rooms. 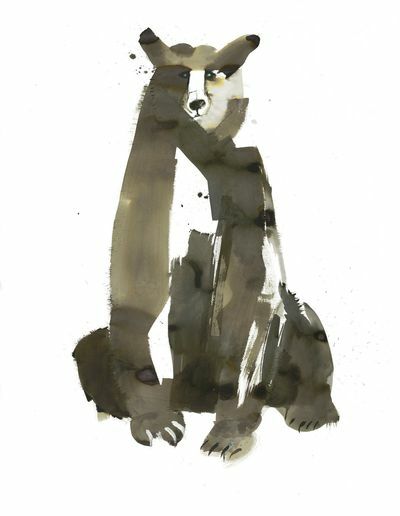 Other parts of the show I especially enjoyed were the prints by Italian studio La Tigre, and the displays set up by London’s animation collective Moth. 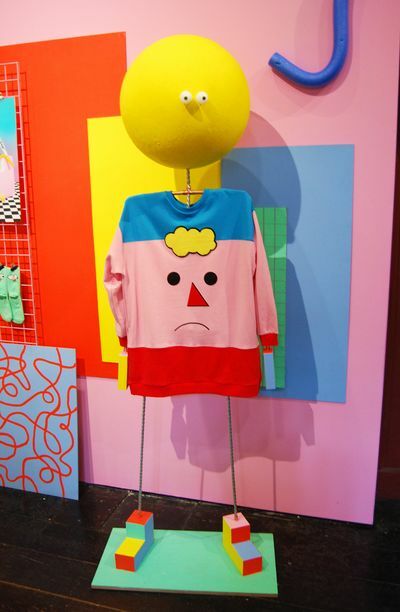 Lazy Oaf also have a striking room featuring the results from their FUN project, in which they collaborated with a range of illustrious including Alexander Medel Calderón. 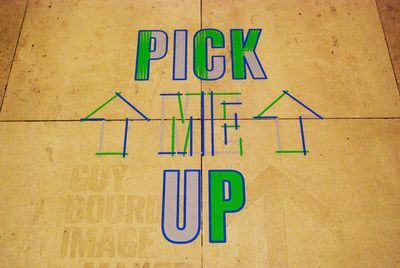 Pick Me Up runs until Monday 4th May at Somerset House. Check it out. On Thursday 26th March, W+K designers Michael Bow and Kelly Satchell headed down to the coast to speak to Brighton University’s final year Design and Illustration students about life outside of education and life inside of W+K London. Their background stories, design developments, processes and successes were shared, along with ‘embracing failure’ tales and agency anecdotes. All in the hope of giving the group a clear insight into how design remains at the very heart of many projects here at W+K London. Which is what makes it a pretty special place to work. Michael and Kelly came away feeling hopeful that they managed to abolish some of the myths of working as a designer in advertising. As well as feeling pleased to spread word of what working life is like at W+K, as a designer, to a selection of young creative minds that might be considering a career in the industry. 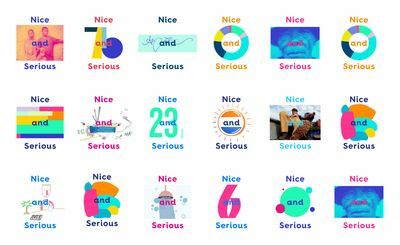 Over the past few months, we've been working with our friends Nice and Serious, an ethically-driven creative agency, to create their new brand identity. Designed to be an adaptable and sustainable identity that can react in response to new developments in the field and work across all brand communications, the rebrand reflects the agency’s nice and serious values: creating beautiful things to solve serious issues. 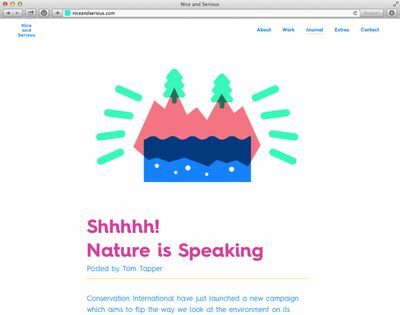 The new brand system, which encompasses a new logo and identity concept, will be applied across the company’s website, social media channels, end frames, signage and stationery, and carried through to the brand’s tone of voice. 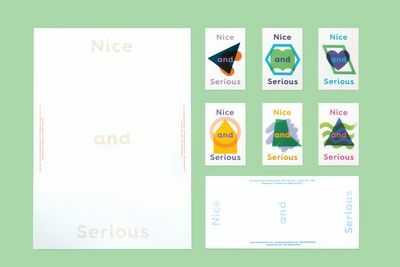 The new brand identity system creates a simple and flexible visual connection between Nice and Serious’ values and each project’s narrative. 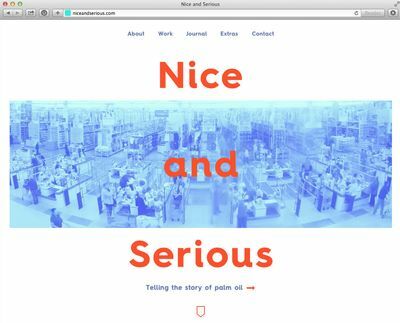 This identity represents the nice and the serious, and the relationship between the two. Whilst the typography stays constant, the central area, where the two elements overlap, is an ever-changing window, a live area allowing Nice and Serious to visually showcase what the company is all about. It’s a space to tell a story through illustration, showcase a piece of work, or educate people in the form of a beautiful infographic. We’re also collaborating on a redesign of Nice and Serious’ offices – watch this space! 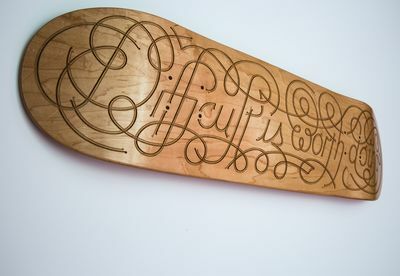 Finding themselves with a spare skateboard deck leftover from a shoot, our design department saw a creative opportunity. 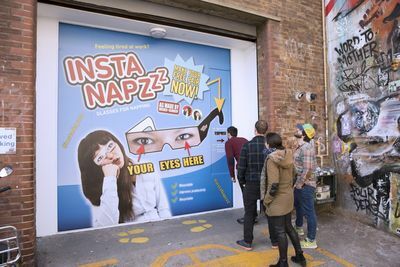 Rather than letting it go to waste, why not make something that the whole agency could enjoy? 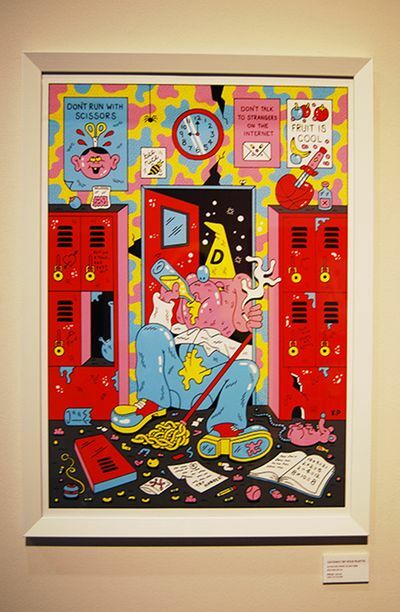 Over the years, the agency has acquired a collection of sayings lovingly called "Wiedenisms" by its employees, phrases that capture W+K's philosophy; some Wiedenisms have become such a big part of everyday agency life, they can even be found emblazoned on our office walls. 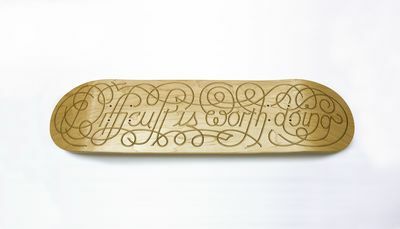 W+K designers Michael Bow and Guy Featherstone wanted to create a permanent piece from a phrase that hadn't yet featured in the office but was close to the agency's heart: "Difficult is worth doing." Born from the early days of the our partnership with Honda, we've adopted this creative mantra and approach ever since. Michael and Guy saw a similarity in the attitude also shared by skaters and skateboarding culture – that relentless persistence is what it takes in order to progress. 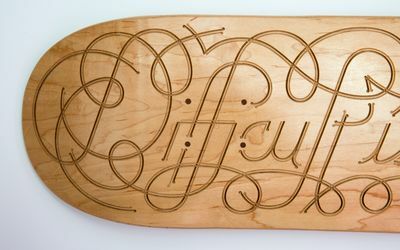 In addition, the double stroke to the typography was inspired by the fluid lines of skating. 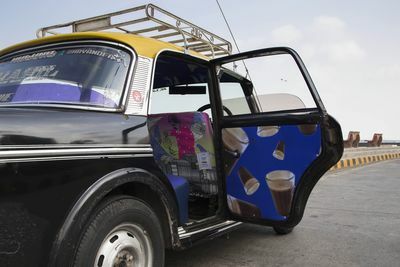 The design neatly incorporates the existing truck holes of the board. 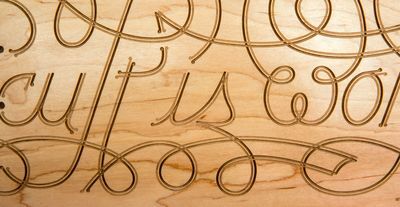 Michael says of the project, "Despite our limited experience with the process, we chose to laser etch the design on the board. We felt this would be a good opportunity to push our boundaries and learn new skills. 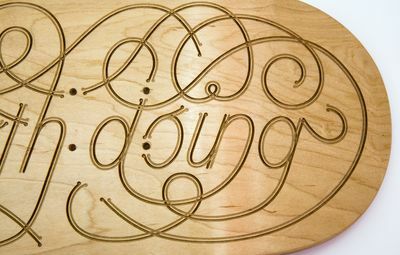 There were a few issues that we encountered during production, especially with regards to etching on the curved ends of the board. After a number of failures we managed to make something we were proud of – and something that truly embodies the philosophy of 'difficult is worth doing'." As specialists in communication, we believe the presentation of work is as important as the work itself. 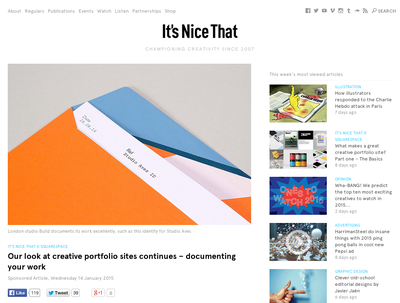 So do our friends at It's Nice That, who have been exploring creative portfolio sites in an ongoing series with Squarespace. 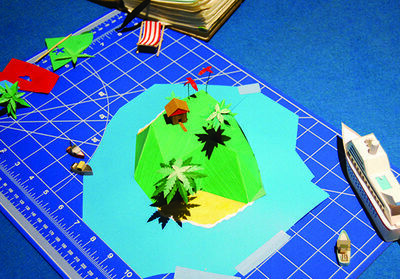 Our lead designer, Karen Jane, recently contributed to their piece on documenting your work. Her advice? 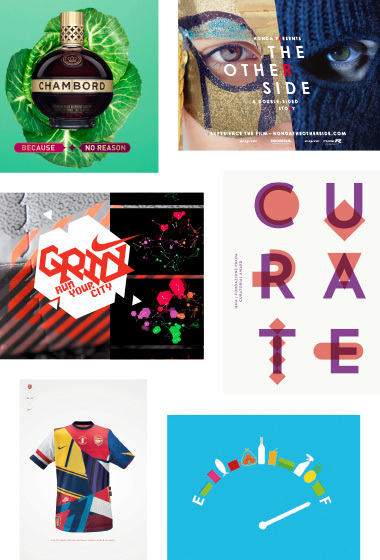 “Your site is like a shop window so show off the work you want to do more of. Curate your project selection to be the finest reflection of you, your craft, and your judgement." We live at 16 Hanbury Street. Just down the road, at number 68, you'll find the home of D&AD – the education-led organisation for the creative and design community. 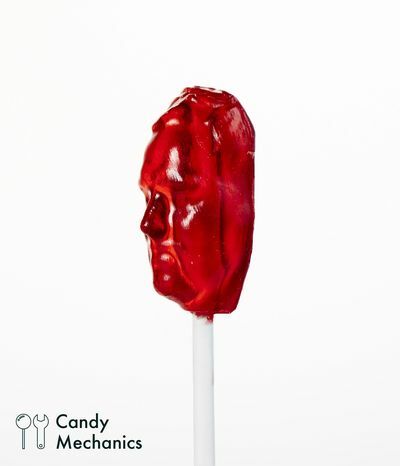 Last month they knocked on our door asking for a cup of sugar. We invited them in, put the kettle on and decided to collaborate on promoting their services. 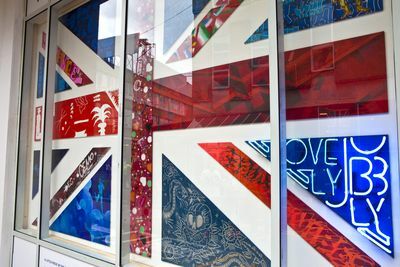 A while back, KJ and Sophie had a vision for the WK window. After lots of graft, this afternoon that is an idea that has become reality. 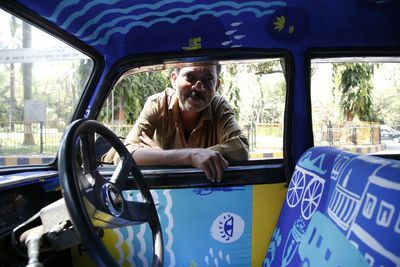 Today we launch HELLO NEIGHBOUR, a creative initiative which sees us partner with local talent. The concept is simple: W+K works together with creative people who live, work or operate within a one mile radius of the agency. We collaborate on something to display in our window. This could mean working with local businesses or individual craftsmen from the area; whoever we would like to showcase in our space. This afternoon's launch sees the first in the series of HELLO NEIGHBOUR projects. 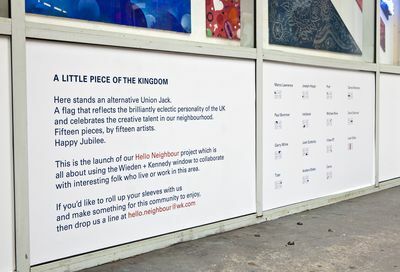 'A little piece of the kingdom' is a mass collaboration between us and 15 talented artists from the local area, three of whom we call our own: Joe, Bowtox and Anders. 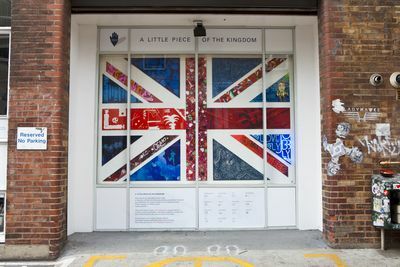 The wooden Union jack installation sees each of the 15 artists own a slice of the flag that they have customized in their own way, building on the topical Jubilee moment. With very special thank you to David Samuel for his huge effort on coordination of talent. Oh, and Matt Harriman for the hours of build and install. 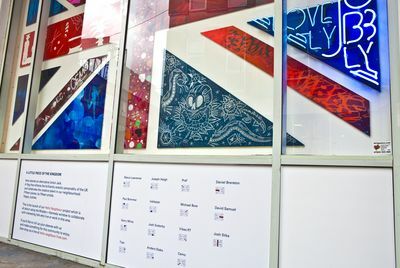 If you’re in the area, do pop by and take a look at the work. And if you comment online, don’t forget to say #helloneighbour. Future projects are already in the making but we are always open to new ideas. 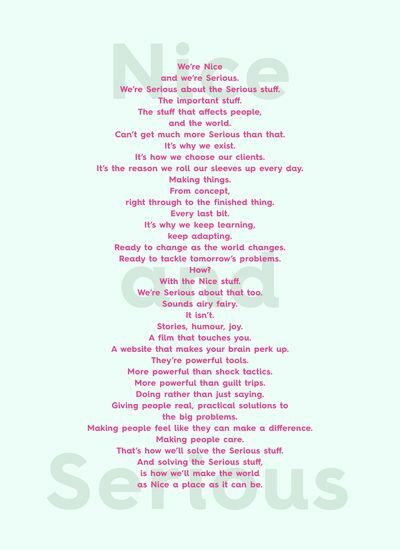 So if you work or live within one mile's radius of the agency and want to collaborate with us, Sophie and KJ invite you in for a cup of tea and a chat. Just email them first on hello.neighbour@wk.com. (KJ, Sophie, Ali Bobbe, Rory and Alex).